When we imagined Mazda6, it was without compromise. It will reward you in every way, because nothing has been overlooked. 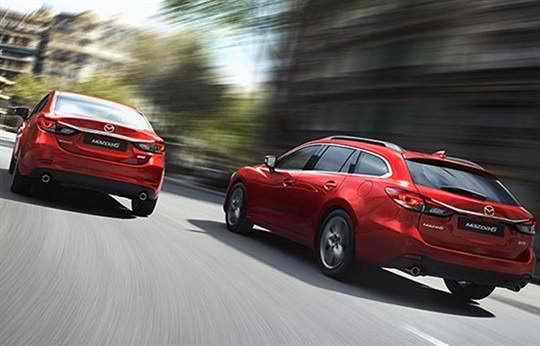 SKYACTIV TECHNOLOGY gives you sports performance, yet does so with outstanding fuel economy. Zoom in to our SPECIAL OFFERS! Mazda’s commitment to both driver and passenger safety is showcased by the outstanding safety suite throughout the full range of Mazda 6 Sedan and Wagon models. 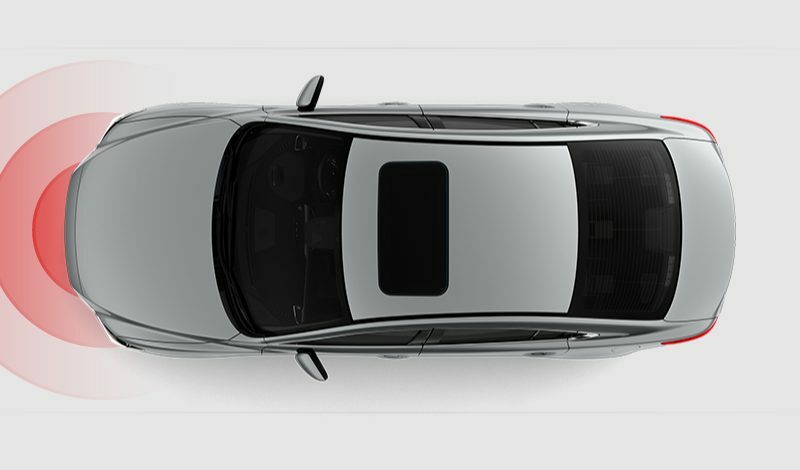 This includes features such as Lane Departure Warning System with Lane Keep Assist. This system monitors road markings and will issue alerts if you start to stray from your lane. If needed, corrective steering will be applied to guide you back when you’re travelling over 65 kilometres per hour. 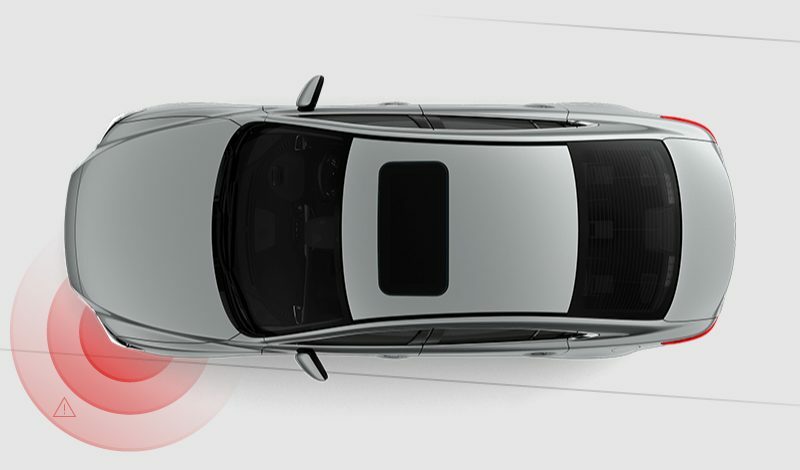 The Mazda Radar Cruise Control allows you to adjust your speed and maintain a safe distance from any cars ahead, with the ability to come to a complete stop and take off again in traffic conditions. 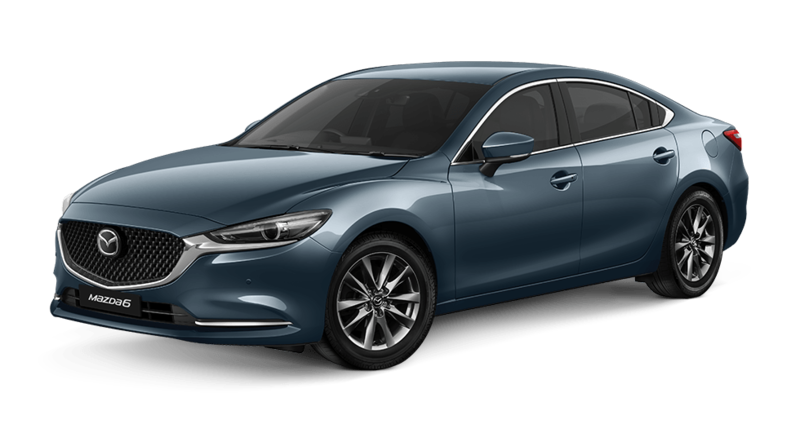 Finally, the new Mazda 6 has four separate cameras to provide you with a complete 360º view to minimise blinds spots and avoid any potential dangers. The SKYACTIV-G Turbo 2.5T engine offers exciting responsiveness and effortless acceleration producing an impressive 170 kW power and 420 Nm torque. 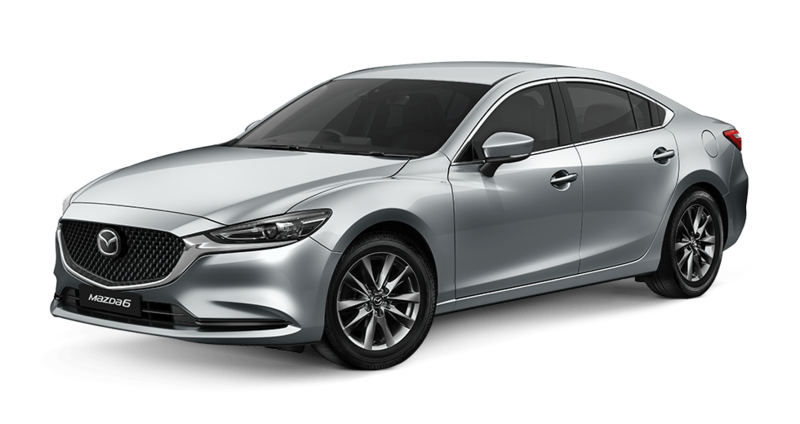 Despite this superb performance, the new Mazda 6 has a frugal combined fuel rate of 7.0 litres per 100 kilometres and an extra urban rate of just 5.9 litres per 100 kilometres. 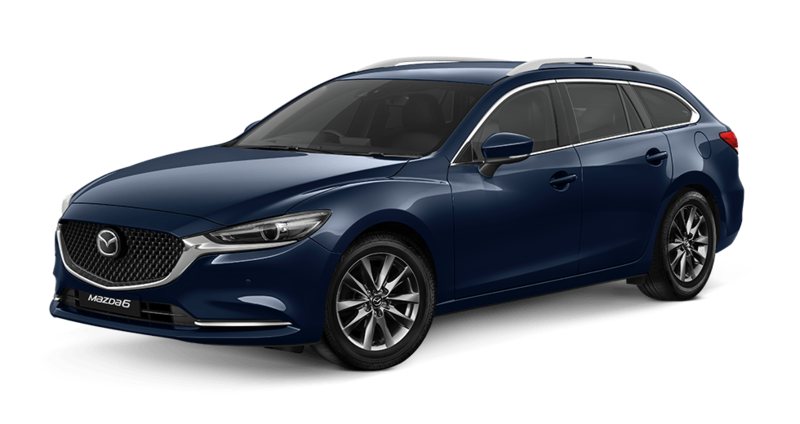 Regardless of whether you’re hitting the open highway or negotiating the urban jungle, you can be assured of complete comfort in the new Mazda 6. 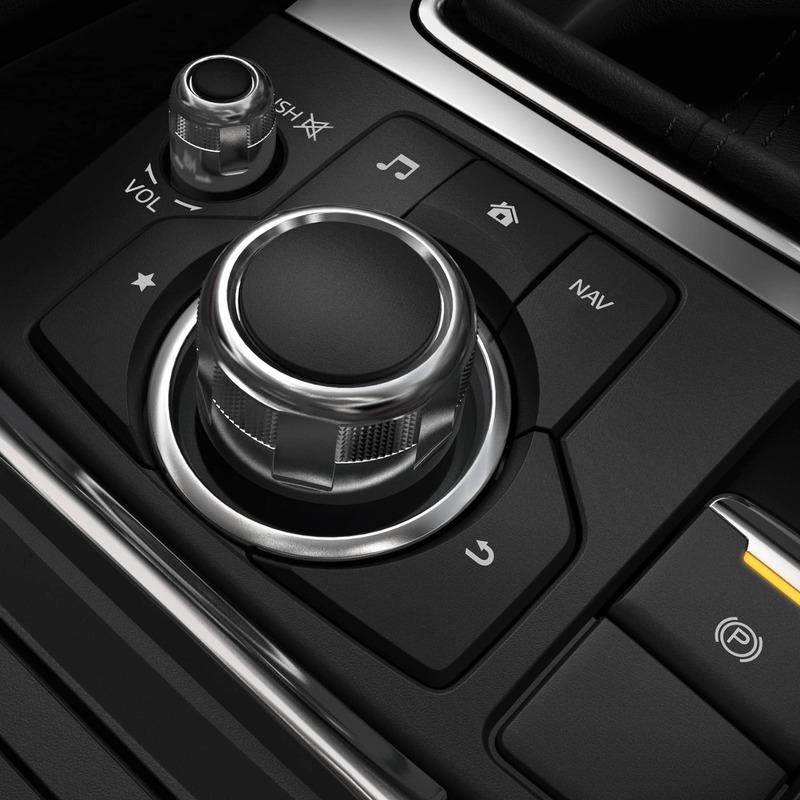 Both you and your passengers will enjoy the optimum cabin temperature with dual zone climate control. There are also luxurious heated and ventilated seats to ensure a comfortable ride. 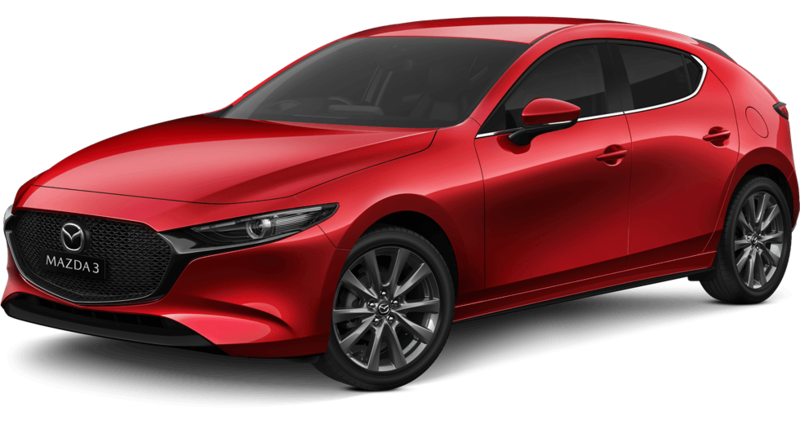 Mazda6 has literally been shaped by a sense of excitement. Its confident stance and athletic form are the vision of our design theme, ‘KODO – Soul of Motion’. Mazda6 places you in the heart of contemporary luxury. It also places you at the heart of the drive. 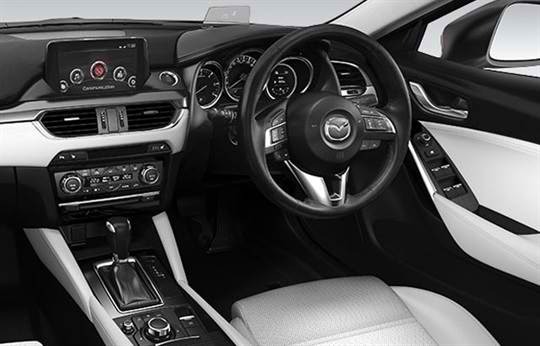 Controls and readouts are carefully located to help keep your attention on the road. 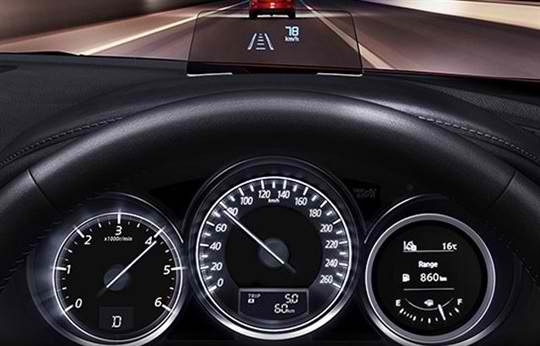 The Active Driving Display in Grand Touring and Atenza helps you to focus more keenly on what’s happening on the road. It projects important data like current speed and navigation cues into your line of sight. Our unique energy regeneration system, i-ELOOP harvests braking energy every time you slow down, then uses it to power on-board electrical systems and reduce fuel consumption. Dial through menus and functions with the multi-function commander, designed for minimum distraction. In Mazda6 you’re well equipped to react to the unexpected, thanks to a cabin that aids focus on the road and responsive handling. 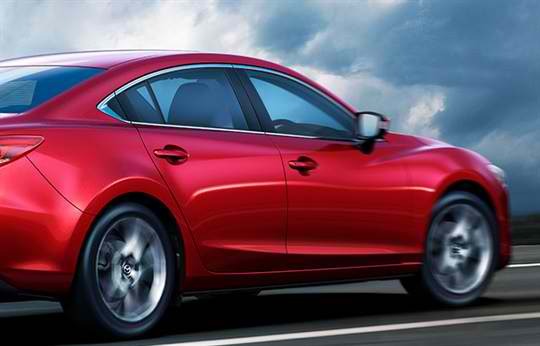 SKYACTIV TECHNOLOGY gives you sports performance, yet does so with outstanding fuel economy. Our newest technology, G-Vectoring Control advances ambiance and driving comfort by finely controlling engine torque based on your steering and acceleration. 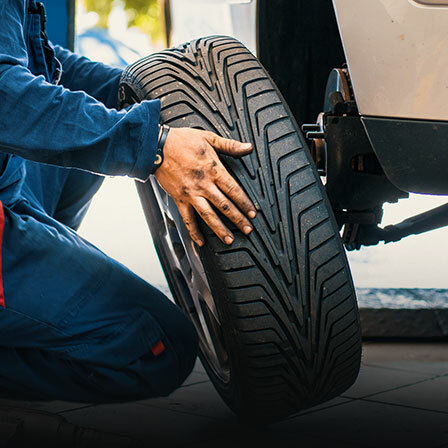 This helps reduce driver fatigue and creates a smoother ride with better handling. 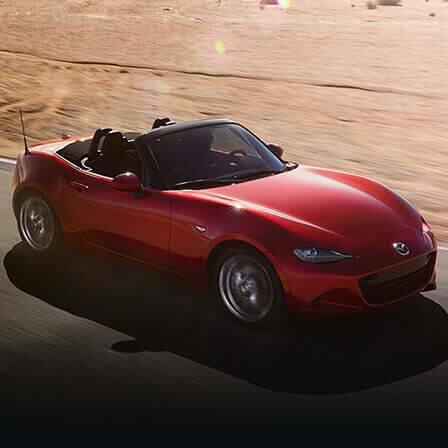 Driving enjoyment is essential to Mazda. It’s in our DNA, and every car we make. But we’re alsocommitted to reducing environmental impact as much as possible. 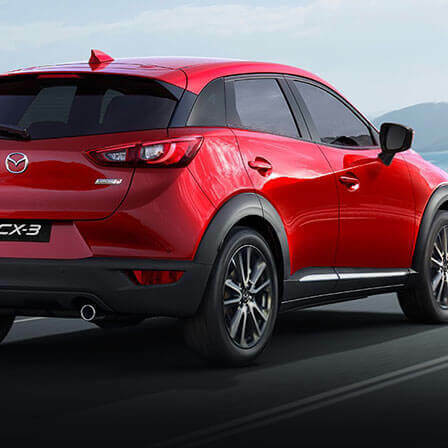 It’s a tough challenge, but it led us to a breakthrough – SKYACTIV TECHNOLOGY.